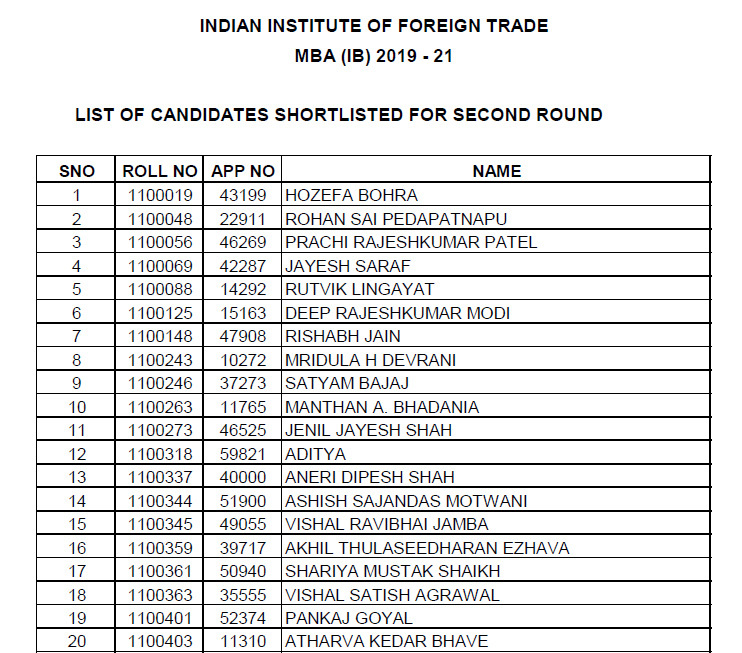 Indian Institute of Foreign Trade (IIFT) has released the result for its entrance exam held on December 2, 2018 for MBA (IB) admission 2019 on January 15, 2019. This comes after weeks of delay. IIFT Result was expected to be declared in first week of January. As per the past trends, IIFT Result declaration date used to be earlier than CAT result date. This is the first time that IIFT Result has been declared after CAT Result which was released on January 5, 2019. IIFT has shortlisted 2097 candidates for its 420 seats across three campuses. 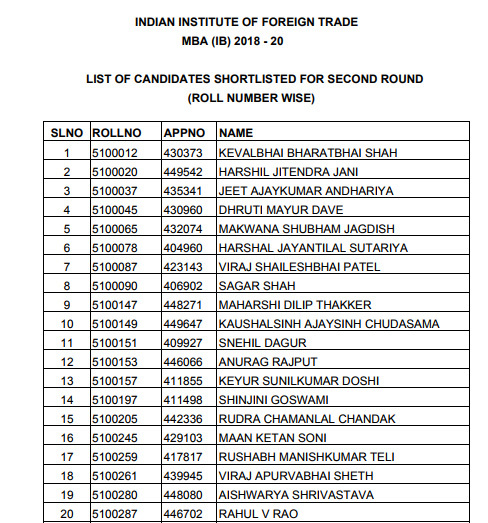 Candidates’ names are displayed on IIFT official website. You can also view the same on this link. Based on these results, IIFT 2019 Cut off is estimated to be around 31-32 marks. With the comparatively higher difficulty level, IIFT 2019 cut offs is expected to be lower than last year. IIFT 2019 Scorecards is not available yet. The IIFT Score Card will be released on the official IIFT website iift.ac.in in next few days. IIFT Scorecard has to be downloaded by login with your exam roll number and Date of Birth. The IIFT score card 2019 consists of scores and cut offs for all the 6 test sections. Candidates shortlisted will appear in second round of Admission now which includes Essay Writing, Group Discussion (GD) and Personal Interview (PI). Candidates should be ready with a clear understanding of various international and domestic policy and business developments like Brexit, Trump Policies, China’s recent slowdown, impact of PM Modi’s economic policies like GST, Demon, Bank Recap etc. Please note that you should login with your IIFT roll number. The password is your date of birth as registered with IIFT in DD/MM/YYYY format. It will display your IIFT score card for MBA (IB) 2019 admission. The IIFT exam score card will look like the following image. Candidates are required to login with their IIFT roll number. The password would be your date of birth as registered with IIFT in DD/MM/YYYY format. IIFT 2018 entrance test for the MBA(IB) batch 2019-21 was conducted on December 2, 2018 at 20 test centres across India. The shortlisted candidates have to go through the rigorous process of IIFT final admission round which consists of Written Ability Test, Group Discussion and Personal Interview. The GD-PI-WAT round for MBA(IB) programme at IIFT takes place from January 2019 onwards and final admission offers are sent by IIFT by the end of March. There were 62000 candidates who had registered to appear in IIFT 2017 entrance exam and out of them 55000 candidates appeared in the entrance exam for admission to 420 seats in different campuses of IIFT MBA (IB) 2018-20 batch on December 3, 2017.